Located on the outskirts of the small town of Denholme, Bradford, West Yorkshire is this substantial parcel of land of approximately 6.192 hectares (15.30 acres). The site is within approximately 250m of the village shops and amenities and partially fronts Station Road to the north and is boundaried by Carperley Beck to the south. 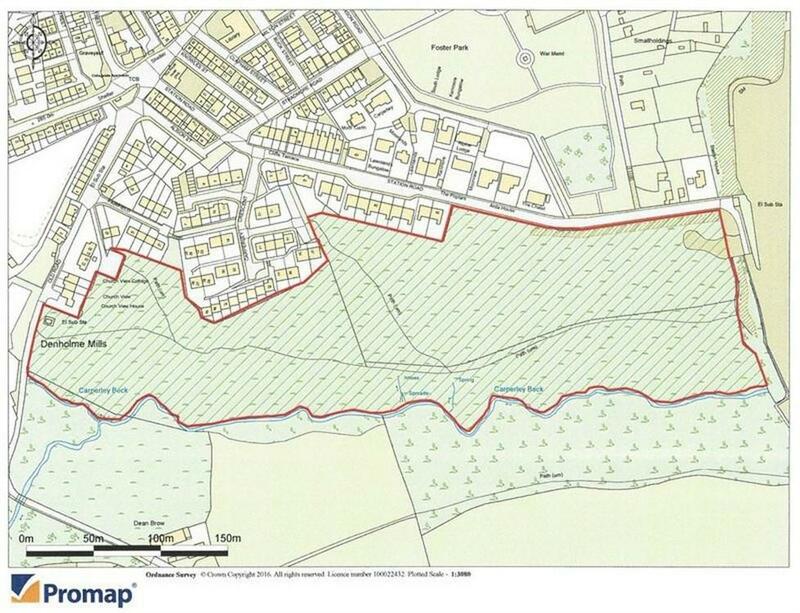 The site has been identified within the Strategic Housing Land Availability Assessment (SHLAA) and the Regional Development Framework as land with potential for housing development. The vendor seeks unconditional or subject to planning offers for the site. 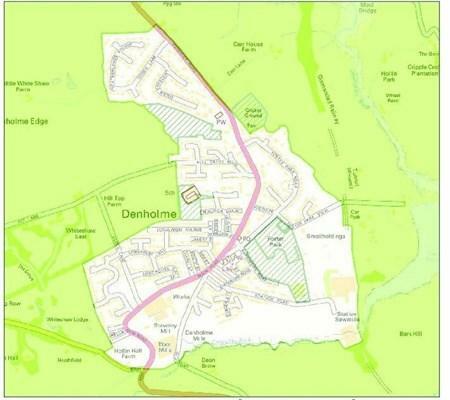 The land is situated on the outskirts of Denholme, West Yorkshire. Denholme is a small town and a civil parish in the Bradford Metropolitan Borough, 8 miles (13 km) west of Bradford, 7 miles (11 km) from Keighley and roughly the same distance from Halifax. The main road running through Denholme is the A629, the main route from Halifax and the M62 to Keighley and the Aire Valley. An initial indicative layout scheme has been drawn up to show the potential for 149 x two and three bedroom houses (107 x two bedroom & 42 x three bedroom), subject to planning. Further details are available upon request. The vendor seeks unconditional or detailed conditional (subject to planning) offers. Property reference 13443498. The information displayed about this property comprises a property advertisement. OnTheMarket.com makes no warranty as to the accuracy or completeness of the advertisement or any linked or associated information, and OnTheMarket.com has no control over the content. This property advertisement does not constitute property particulars. The information is provided and maintained by Terence Painter Estate Agents - Broadstairs. Please contact the selling agent directly to obtain any information which may be available under the terms of The Energy Performance of Buildings (Certificates and Inspections) (England and Wales) Regulations 2007 or the Home Report if in relation to a residential property in Scotland.